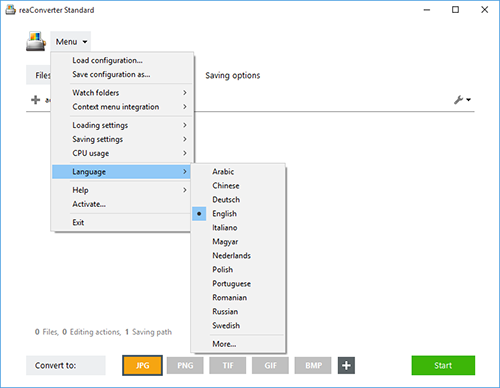 reaConverter's simple and clear user interface is now even easier to access by supporting several display languages. Save time and effort by switching to the language you are most familiar with! 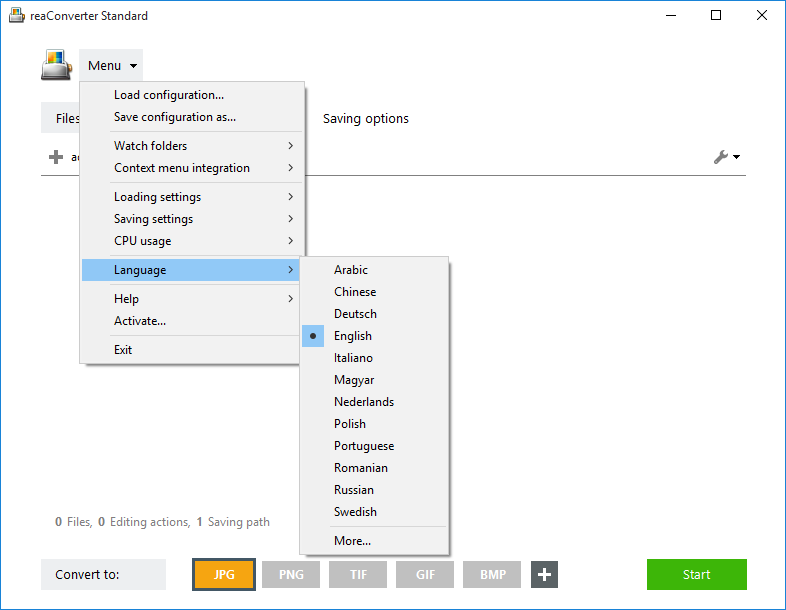 If your native language is not supported by current version of reaConverter, you can become the first who will translate the reaConverter's interface to your language. If you join our translation team you will get a free reaConverter Pro license. Currently available options are: Arabic, Chinese, Deutsch, English, Italiano, Magyar, Nederlands, Polish, Portuguese, Romanian, Russian and Swedish. Please contact our support team for detailed info.